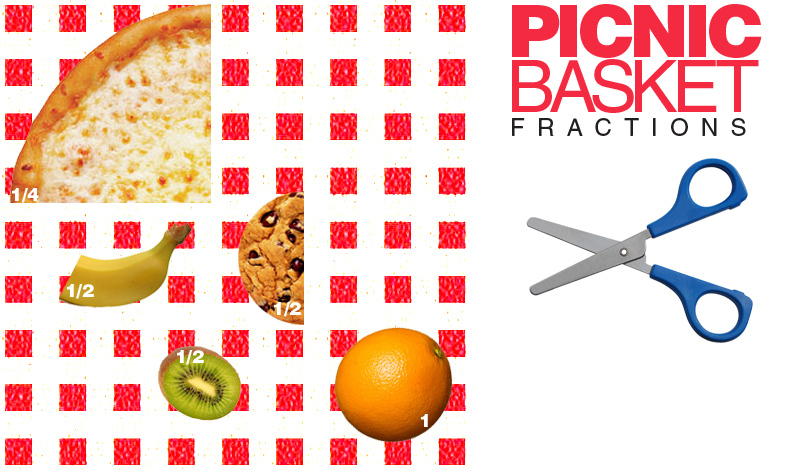 For a math station, set up a picnic basket of food (images for kids to cut). Students plan a picnic, create food fractions (use a ruler and scissors), glue food fractions on a paper plate, and write the fraction for each item. Kids are not only practicing their fraction skills, but division too!